Poor credit has the biggest effect in Michigan, Kentucky and New Jersey, our analysis found. Your credit history seeps into most corners of your financial life, and car insurance is no exception. We analyzed multiple quotes in each of the other 47 states and the District of Columbia to see the impact poor credit has on car insurance rates. Generally a FICO score of 579 or lower is considered “poor” credit, but insurers treat credit differently. 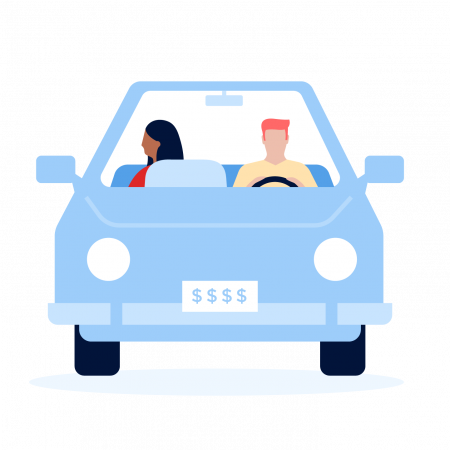 We compared prices for 30-year-old drivers with clean driving records and good credit to prices for identical driver profiles with poor credit as reported to the insurer. The increases vary widely, but in 29 states, drivers with bad credit pay, on average, more than $1,000 more each year. Insurance rates vary by state and by company. Insurers set their rates based on risk factors and claims they have paid in each area. In addition, each state insurance department has a rate-approval process and can decline rates it deems exorbitant. This leads to a complex patchwork of rate variations across the country. In states that allow the use of credit in setting rates, drivers with poor credit pay an average of $1,270 more per year. Having credit problems can be one of the biggest roadblocks to getting cheap car insurance. In the states that allow the use of credit in setting rates, drivers with poor credit pay an average of $1,270 more per year for auto coverage than those with good credit. North Carolina drivers had the lowest average price difference; drivers with poor credit pay $235 more per year than those with good credit. On the other end, Michigan had the largest rate disparity between motorists with good and poor credit, at $5,571 per year. Insurers use a credit-based insurance score to set prices, which is different from the score used to decide whether to extend you a loan or credit card. It’s based on much of the same information in those credit reports, but uses a different scoring model to predict how likely you are to file an insurance claim. It’s important to shop around for car insurance no matter what your credit or driving record is, because rates for the same coverage vary widely among insurers. We then gathered rates for drivers with poor credit and compared the difference in rates. We used a 2014 Toyota Camry in all cases. These are sample rates generated through Quadrant Information Services. Your own rates will be different.